Home » News » New report on salmon farming: what have we learned? New report on salmon farming: what have we learned? 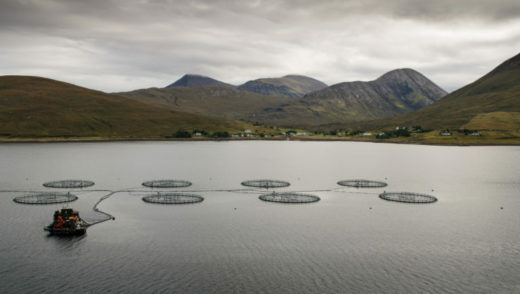 Earlier this week, the much-anticipated report by the Scottish Parliament’s Rural Economy and Connectivity (REC) Committee on salmon farming in Scotland, was published. OneKind contributed to this inquiry, urging the Committee to consider the welfare of not only farmed fish, but cleaner fish, and wild animals such as cetaceans and seals. We were therefore pleased to see that the Committee did highlight some of our concerns, including the health challenges such as sea lice, high fish mortality levels, and impacts on wildlife such as cetaceans. Here are some key take-away points from the report! OneKind, alongside SARNs, Save Seil Sound, and the Scottish Salmon Think-Tank, launched a petition in August this year, calling on the Scottish Parliament to stop industry expansion plans, until key welfare issues are addressed. Other groups that have also called for a moratorium, including Salmon and Trout Conservation Trust Scotland, National Trust of Scotland, Flora and Fauna International, and Compassion in World Farming. Despite these calls, it was disappointing to note that the REC Committee concluded (except for Scottish Green MSP John Finnie, and Labour MSP Colin Smyth) that there was insufficient evidence for a moratorium. Nonetheless the REC Committee did recommend that expansion should not be permitted at farms with high mortality rates. They also note that, because of the complex gill health challenges that occur, that the Committee “has difficulty in understanding how expansion of the industry can reasonably occur if this issue is not satisfactorily resolved”. It is no secret that mortality levels on Scottish salmon farms can be high- of the 45.5 million young salmon put into Scottish farms in 2015, 20.9% (9.5 million) died during the production cycle. It was therefore welcome to see the Committee recognise the severity of this problem, as they consider “the current level of mortalities to be too high in general across the sector and it is very concerned to note the extremely high mortality rates at particular sites”. There are many factors that can cause salmon mortality on farms in Scotland, and we went into detail on these in our recent report on salmon farming. The report by the REC committee notes the problems with complex gill issues, bacteria, parasites, environment such as storms, and human error. They also note that it is acknowledged that, in recent years, the survival rate of farmed fish has decreased. In August 2018, the Scottish Salmon Producers Organisation (SSPO) started publishing mortality data on salmon farms, which is done so in 3-month arrears. Whilst it is promising that this data is now available, there is issue with the state of this data, with the Committee stating that “is very limited and does not provide detailed information on the causes of mortality on each farm”. 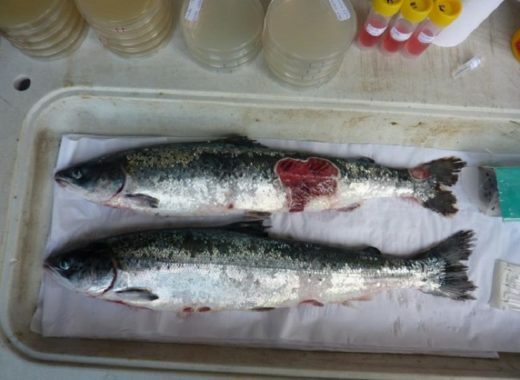 One of the major health and welfare issues that farmed salmon face is sea lice, which are parasites that feed on the skin of salmon, creating open wounds, causing stress, and mortality. 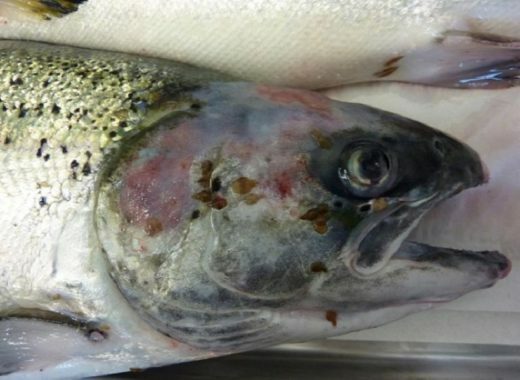 Recent footage has shown just how severe sea lice infestations can be on Scottish salmon farms. The REC committee note that sea lice cause a “significant challenge”, but despite this “the industry has not yet identified a means to fully and effectively deal with this parasite”. As with mortality data, the SSPO has also started publishing sea lice data, which is produced 3 months in arrears. This, the REC committee noted, is unlike Norway, who produce this information on a weekly basis, which can be seen on an interactive website. The Committee also call for the provision of sea lice data to become mandatory, and for the development of a “robust” compliance policy, to include appropriate penalties for non-compliance. In our submission to the REC inquiry, we urged the Committee to not forget the welfare of cleaner fish, which are wrasse species, and lumpsucker that are placed onto salmon farms to eat sea lice from salmon. This is a view mirrored by Compassion in World Farming, who argued that the “welfare of cleaner fish should be no less important than the welfare of the salmon”. 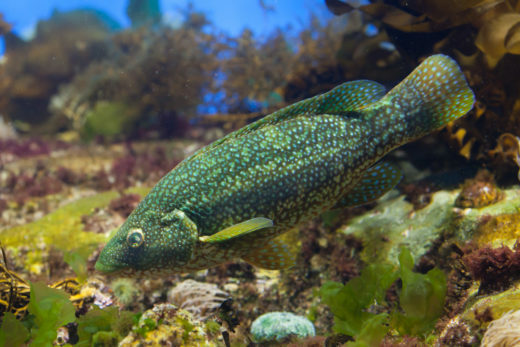 It is great to see that the environmental concerns surrounding cleaner fish (especially wild-caught wrasse) are being taken seriously by the REC Committee, however it is vital that their welfare is not forgotten about either. To help keep cleaner fish welfare in the fore, we will soon be launching a report on their welfare on salmon farms- so watch this space! 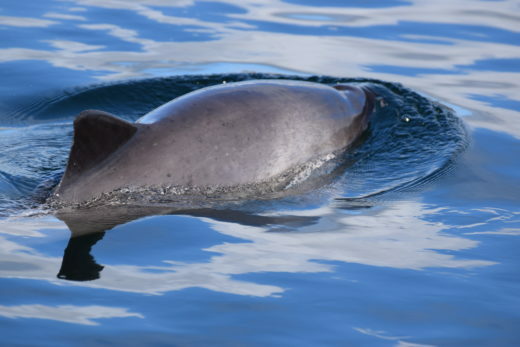 “The Committee shares the view of the ECCLR Committee that such physical barriers should be used ahead of deterrents such as Acoustic Deterrent Devices which potentially have a harmful impact on cetacean species such as whales and dolphins”. Indeed, this is something that we have called for in our salmon farming report, due to the overwhelming evidence that the use of Acoustic Deterrent Devices (ADDs, which emit loud noises in an attempt to deter seals from salmon farms) has harmful impacts on cetaceans- notably harbour porpoise; and the lack of evidence of their long term effectiveness on deterring seals from salmon farms. Ultimately, the report shows that the REC committee agrees with the findings by the Environment, Climate Change and Land Reform (ECCLR) Committee in their inquiry, that the “status quo” of salmon farming is not an opinion. It is now up to the Scottish Government to decide what action it will take in response to this report, and we hope that they will take serious action to tackle the various animal welfare issues that are currently associated with the salmon farming industry in Scotland. In the meantime, if you would like to take action to help improve the lives of farmed salmon, cleaner fish, seals and cetaceans, then please sign our salmon farming petition.